Pakistan spends half as much as India does on education and ranks better only to Bhutan in South Asia in the field of education. These were the findings of the Global Monitoring Report, launched by the United Nations Educational, Scientific and Cultural Organisation (Unesco), Idaara-e-Taleem o’ Aagahi (ITA) and the Education and Literacy Department, Government of Sindh, on Tuesday, in the presence of government officials and notables from the civil society. 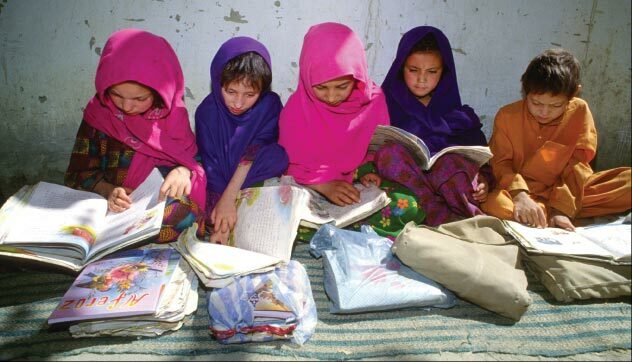 “Female literacy rate in Pakistan is 61 percent when compared to 79 percent for males. By the year 2015 the figure is expected to grow to 72 percent for females and 82 percent for males,” shared Kazi Ayaz Maheshar, provincial coordinator Unesco. According to a draft of the Sindh Compulsory Education Act, which is to be debated in the assembly in a few weeks; education will be free for ages five to 16, private schools have to enroll 10 percent underprivileged students and no child is to be expelled before he completes the prescribed years of education at a school, shared Anwar Ahmed Zai, Chairman Board of Intermediate, Karachi. Bella Jameel of ITA highlighted the importance of developing the youth with skills and urged the government to invest in this sector. She said this was necessary because there were only 25,000 secondary schools in Pakistan compared to over 150,000 primary schools. “Most students cannot complete secondary school due to this disparity.” Moreover 50 per cent students graduate grade 5 without literacy and numeracy competency of grade 2 standard. “There is a shortage of skilled workforce in the country. And in class eight a child should be given the option to opt for vocational training so that when he graduates he has the means to earn a living,” said Bella Jameel. It was mentioned during the event that the government, corporate sector and civil society should partner for the betterment of education in Pakistan. In this regard, Mariam Mamsa from Unilever talked in detail about the multinational’s project “Guddi Baji” under which women were provided with Tevta certified beautician courses and made brand ambassadors for Unilever, as a result they added Rs 9,000 to their income every month. The project is set to launch in Sindh. Speaking on the occasion, Pir Mazharul Haq, Minister for Education and Literacy, recalled the time in 1958 when he was still in a government school in Hyderabad. “I opted for technical training in grade nine. But when I returned after becoming education minister I was surprised to find the technical wing of the school closed, even though the teachers were getting paid,” he said, adding that he immediately issued a directive for its reopening.